● Behavioral Awareness: educating travelers about how to act more like a local, including tackling topics related to littering and street pollution, noise control, and waste management, i.e. recycling and sorting, etc. The program culminated with the teams of innovators pitching their plans to an expert jury in order to win grants between €10,000 and €25,000, with the TravelTime Platform by iGeolise winning the top grant of €24,000. Other teams receiving grants were Clio Muse for €20,000, Secret City Trails for €19,000 and Seavents for €18,000. The teams now have 30 days to bring their ideas to life and implement their proposed solutions for Amsterdam. The teams that show the most progress at that point will be eligible to receive an additional grant. With operations in the Netherlands, iGeolise are the creators of the TravelTime platform API, a technology that can calculate travel times from a single point of origin for up to 2,000 different destinations in under 300 milliseconds. With this technology as the basis, iGeolise will leverage their technology with third-party developers to create multiple apps that help tourists discover activities and things to do that are outside of Amsterdam’s central canal belt, showcasing how many places tourists can explore with public transport in a travel time of 30 minutes or less. Secret City Trails got its start in Amsterdam and now offers more than 30 city discovery games in 14 destinations across Europe. Through their urban adventure games, travelers and locals solve a trail of riddles. With each riddle solved, they unlock stories about the sights and area, as well as secret recommendations to hidden gems and wonderful local cafes and bars, promoting both cultural heritage and supporting a wide variety of local businesses. 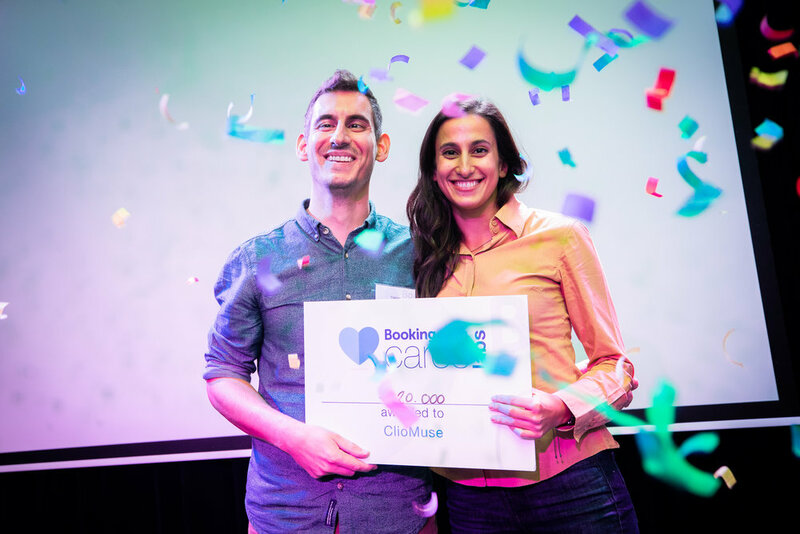 With Amsterdam as their top-selling destination, with their grant they plan to scale up their efforts and add even more games to their portfolio for the city. The Dutch founders of Seavents want to tackle the plastic pollution problem at the source by showing event and festival managers that going zero waste is a no brainer. By using on-site composting machines and providing attractive waste sorting stations with clear signage, Seavents encourages festival goers to interact with waste in a positive way. During the pilot phase of their project, they plan to save more than 58 tons of waste from incineration at Amsterdam area festivals alone. In Clio Muse app, travellers can find multiple digital themed tours inspired by the ancient and contemporary aspects of the destinations we serve. Themes can range from archaeology and oral history to gastronomy, architecture, and mythology. Their content is based on original material and all tours are created by accredited tourist guides or professionals in the Culture & Tourism sector. Our stories are written in a quirky and imaginative style following our signature engaging approach. While currently operating in Greece and Italy, we hope that ClioMuse will soon expand to Amsterdam, using their methodology to create a great impact on the city. 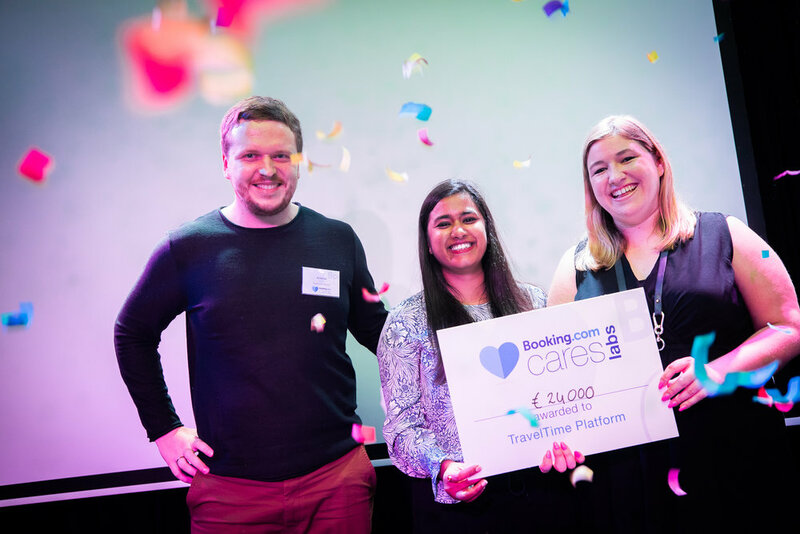 Other teams that participated in the Amsterdam Booking Cares Lab include CultureMee, De Gezonde Stad, Landmrk, Tourmerang, Wander Technologies and YourTour Ventures. You can reach more about each of the innovators here. Each will have continued mentorship from their Booking.com mentor and get ongoing access to the Booking.com volunteer programme. All innovators will have the chance to update us on their progress in the coming month for a share of an additional round of funding. We are so inspired by the work that these innovators have done in the past 3 days and on their potential impact on the city of Amsterdam and other urban destinations.